Stover And Crouch Insurance Agency, Inc. Call now for the best deals on insurance guaranteed! Stover And Crouch Insurance Agency, Inc. offers the best quotes in Texas. Call us at (936) 348-2688. 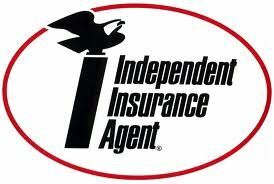 Servicing all of Texas with an emphasis in Madisonville, College Station, Huntsville, and The Woodlands, we are committed to being your premier independent insurance agent. Our mission is to gain new customers, and retain them by offering them exceptional value through a combination of competitive prices, large selection, top quality and superior service. Home Insurance – We have a home insurance policy that can work for any home in Madisonville, Huntsville, Bryan, College Station or the Woodlands. Your home is a huge investment, if not your biggest, so why not protect it with a homeowner’s insurance policy that will let you sleep easily at night knowing you are covered. Our home insurance experts will work with you to create a custom home insurance policy. To get started just use our Home Quote tool for a free rate quote. Auto Insurance – Paying too much for your auto insurance? Find out what it’s like working with an agent who has your best interests in mind. Let us shop all of the leading insurance providors so that you dont have to. It’s free! To get a free auto insurance quote, simply click on the Auto quote button. Auto insurance for Madisonville, Huntsville, Bryan, College Station, The Woodloands, and all of Texas! Business Insurance - If you are a business owner, we can also help you too. As a small business ourselves we know how hard it can be to keep track of everything. Which is why we want your business insurance policy to not be another thing you have to keep track of. We can customize a business insurance plan that is all encompassing at the lowest possible rate. To see how we could help your business try our Business Quote tool for a free rate quote. Church Insurance - Need Church Insurance? No problem. We specialize in Texas Church Insurance (936)348-2688. Let us get you the best deal on Church Insurance. Click here for more information! Whatever your insurance needs may be our agents will be able to work with you using their experience and knowledge to determine what coverage you need in order to provide you with exceptional coverage at the most competitive price around. Let us shop our many companies including Allstate, Progressive, Hochheim Prairie, Safeco, Allied, and more. We do all the work so that you don’t have to! Call Us Today! 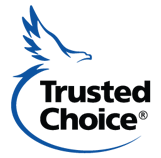 (936)348-2688 Stover And Crouch Insurance Agency, Inc. is a general independent insurance agency with a broad range of Commercial, Personal, Life, and Health insurance products. We’ve aligned ourselves with some of the finest carriers to deliver these products to you.